Happy hump day y’all! 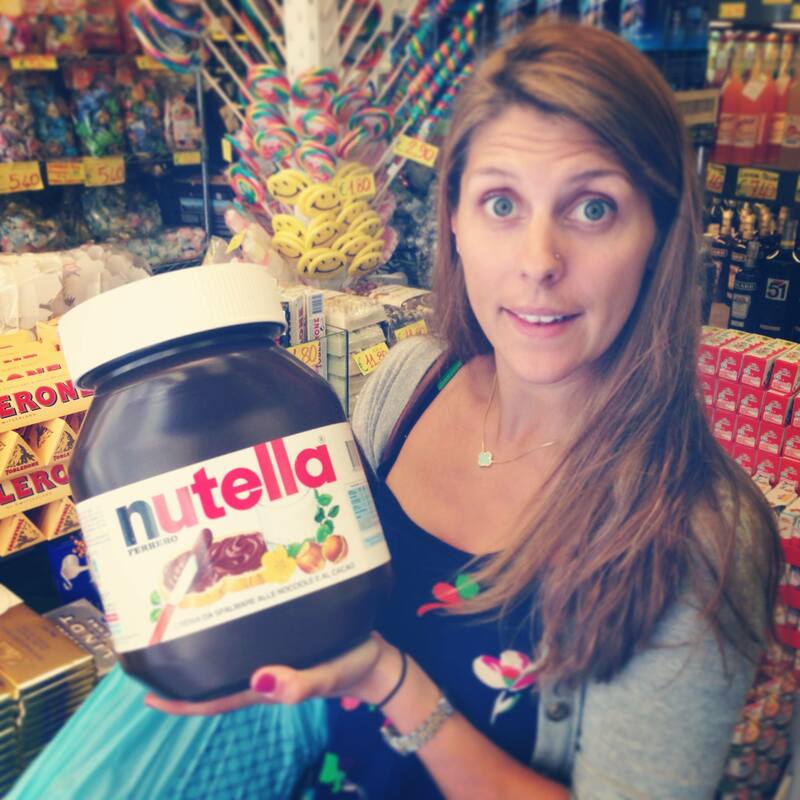 You’ve made it through half the work week and lets be honest you deserve a treat for working so hard! There’s pretty much no better way to treat yourself or celebrate than with pie… and more specifically deliciously tart and perfect key lime pie! Last night I was celebrating because our coed rec league softball team went undefeated in our regular season (9-0!) So we are heading into the playoffs ranked #1! 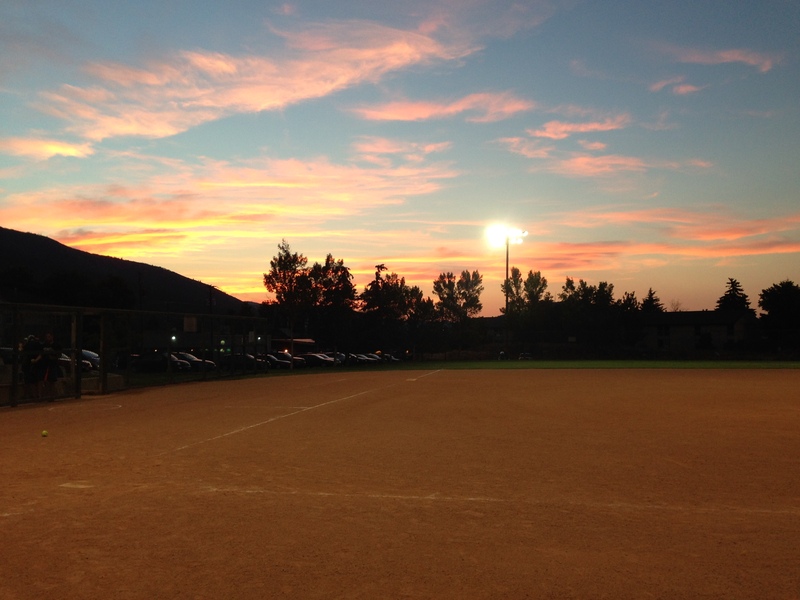 We played a double header under beautiful pink Park City skies! Doesn’t get much better than that! 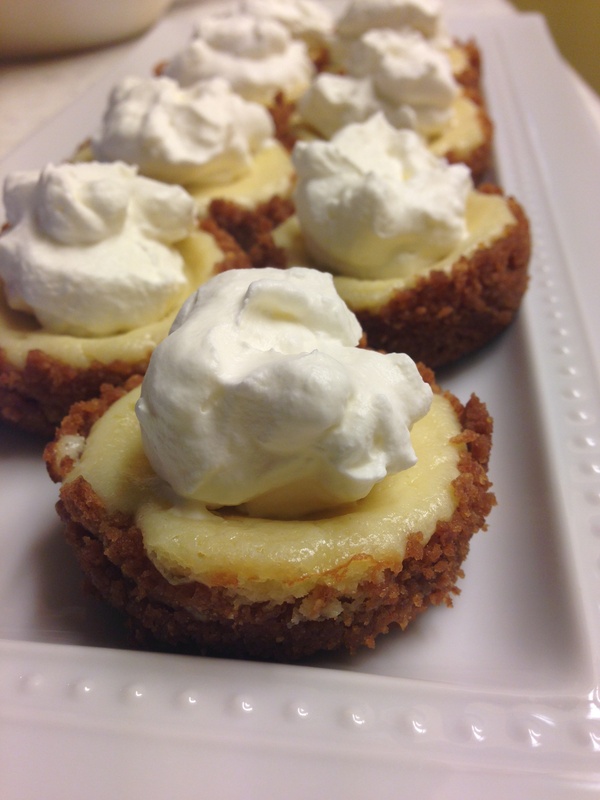 Oh wait it does… Key Lime Pie! This is my all time favorite go to recipe that was passed on to me by a friend. I have tired many variations of key lime pies and this one hands down always wins. It is the perfect balance of tangy and sweet, it’s so satisfying and refreshing! I have also made it a few different ways, both as a pie and as individual mini tarts! The pie version is definitely less time consuming since you’re not packing the graham cracker crust into each little individual cupcake tin, however the result of the mini tarts is quite chic! Top these little babies off with a dollop of freshly whipped cream and booyah you’re the most popular person at the party! Mix together the graham cracker crumbs and melted butter. Press into the bottom and up the sides of a 9-inch pie pan or large cupcake pan (you may need to do a few batches with the cupcake pan if you only have one). Bake in oven for about 8-10 minutes, until golden brown (don’t allow it to get too brown). Meanwhile, In the bowl of your electric mixer (you can use a hand mixer or kitchen aide), with the whisk attachment beat the egg yolks until pale and fluffy (about 3 minutes). Gradually add the sweeten condensed milk and beat until you have a light and fluffy mixture (4-5 minutes). Scrape down the sides of the bowl and beat in the limejuice and zest. Pour the filling into the crust and bake for another 10 minutes, or until the filling has set. Remove from the oven and place on a wire rack to cool. Once it has completely cooled, cover and refrigerate until serving time. (Pie can be made at this point and stored in fridge over night). Just before serving, make the whipping cream. In a separate bowl, beat the whipping cream until soft peaks form, add sugar and beat until stiff peaks form. 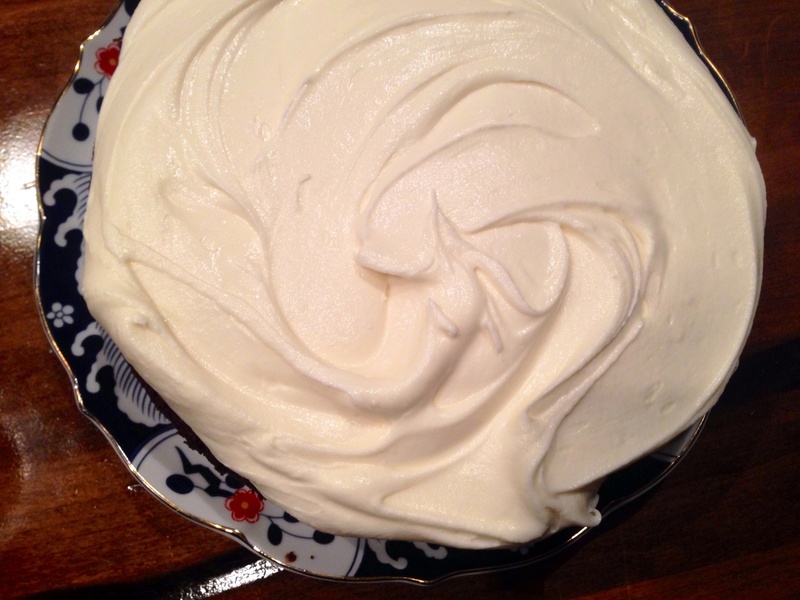 Place mounds of whipping cream on top of the pie filling. Hey Y’all, I hope you had a great weekend and celebrated all the wonderful fathers out there! Dads are the best aren’t they? One thing my father and I have in common, among many other things, is our love for dessert. We could both eat the largest dinner and be stuffed to the gills and somehow, find a little extra space for a piece of chocolate cake or pie. I always think a summertime camping and BBQ dessert staple are S’mores! But its time to jazz up the classic campfire treat with a little something extra… The banana boat s’more! Don’t get me wrong, this is not replacing the traditional s’more, it is merely keeping your campfire from getting bored! 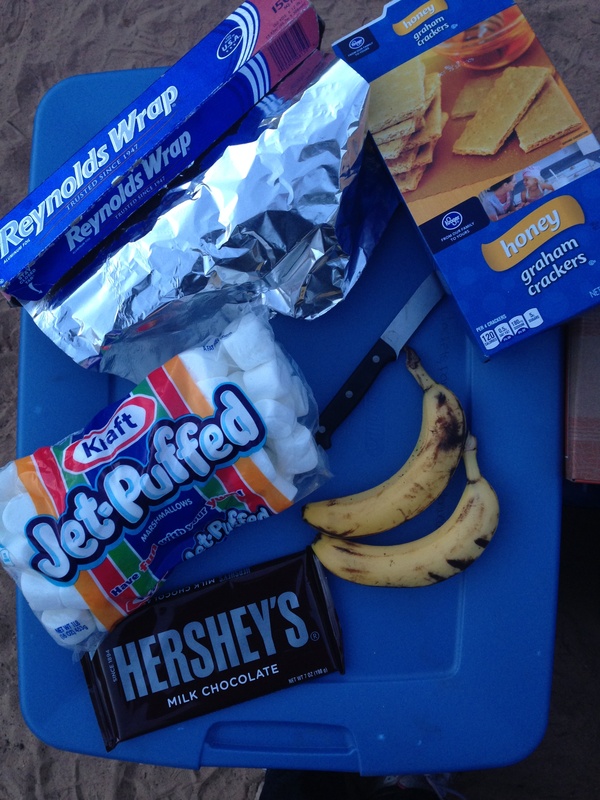 Plus an added bonus, you don’t need any extra ingredients (other than the banana) from the classic s’more. This is a really fun dessert for kids to do too since they get to eat it right out of the banana! It may not look pretty but it sure does taste amazing!!! Using a knife, make a deep lengthwise cut along the inside curve of the bananas making sure you don’t cut all the way through. Open slit to form a pocket. Fill the bananas with marshmallows, chocolate and 1/2 the graham cracker. Wrap the bananas in foil and place them on the grill, or if you have tongs, place it on the campfire for about 5-6 minutes. Carefully remove from the fire/grill. 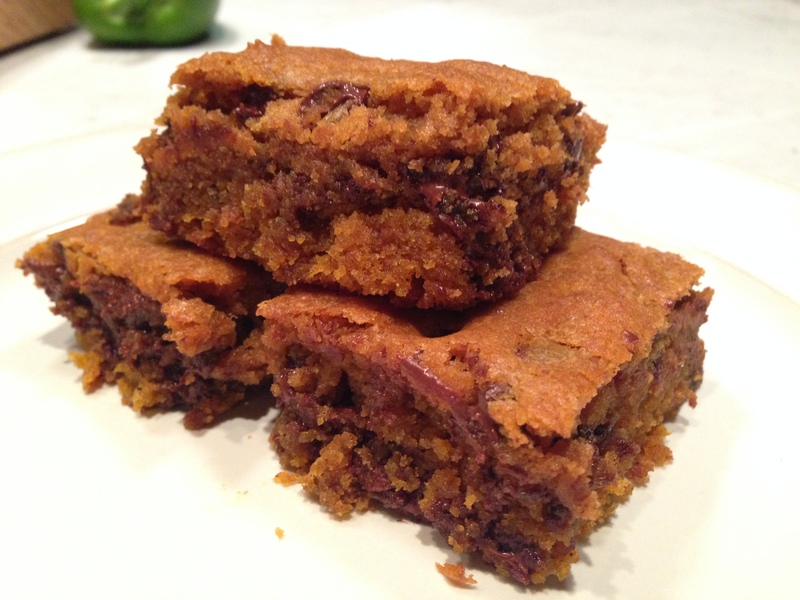 Peel back the foil and sprinkle the remaining graham cracker over the top, enjoy with a fork or spoon! 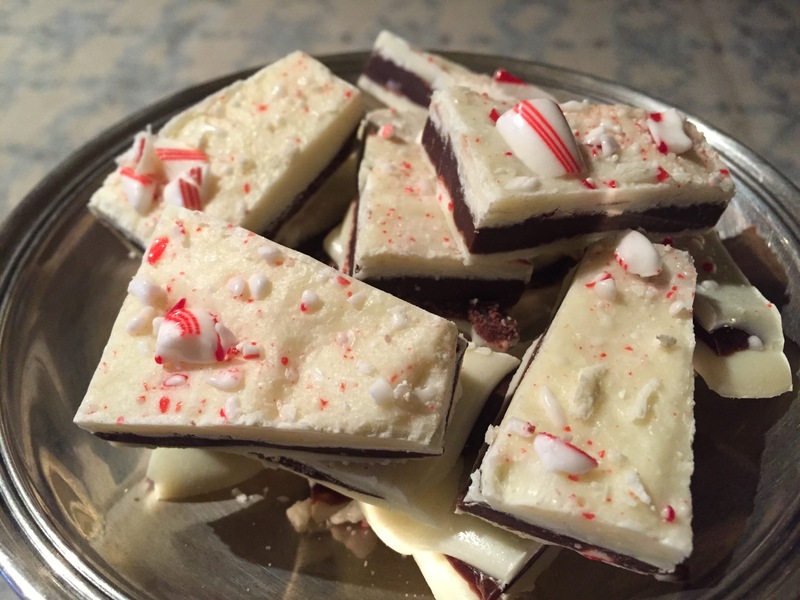 *Cooks note- Get creative with the ingredients and toppings- any kind of candy or dark chocolate you have on hand would be good. 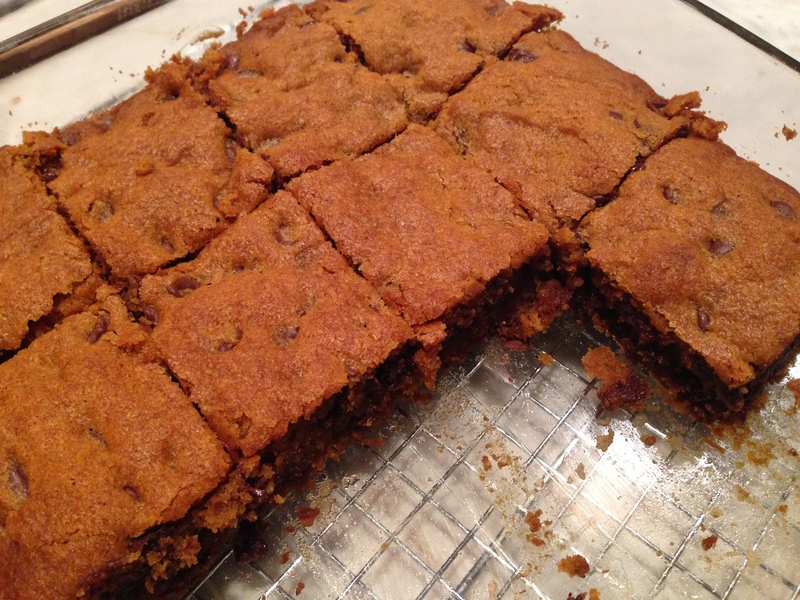 You can also use Golden Grahams cereal, cinnamon toast crunch cereal or thin mint cookies to crumble on top. I love adding peanut butter or almond butter to these as well! There is something about fresh pies that make me think of summer and Martha’s Vineyard. Maybe it’s because as a child my family only ate pie in the summer, or maybe it had to do with one of my favorite summer activities… going over to bake pies with my Aunt Harriet. I loved that she would always let me steal one of the sugar coated apples out of the bowl before we’d bake the pie (or maybe I always stole it with out her noticing…?) Either way, sleepovers and pie making at Aunt Harriet’s house were the best! 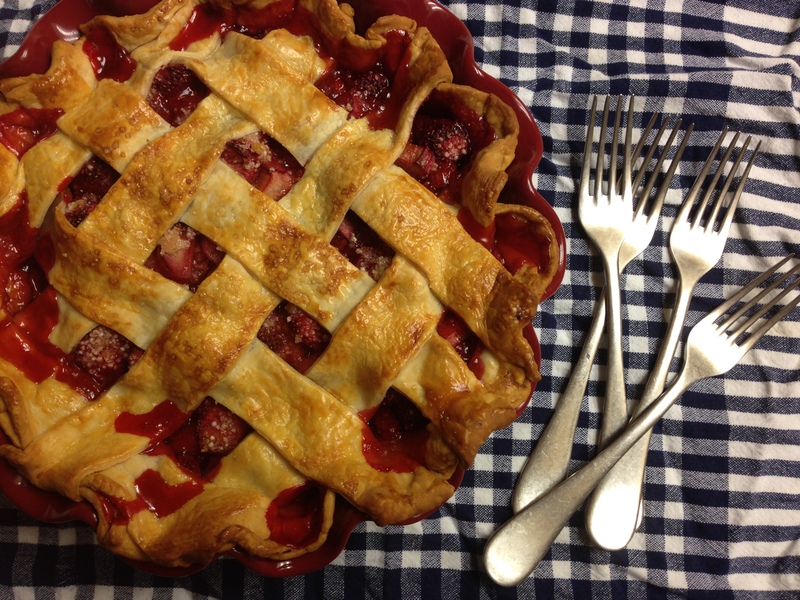 My absolute favorite pie flavor is strawberry rhubarb, I love how the tartness of the rhubarb balances the sweetness of the strawberries and flaky pie crust. While the pie is still warm you’ve got to top it with a big scoop of vanilla ice cream, so it melts into the cracks and crevices of the pie… there is nothing better! 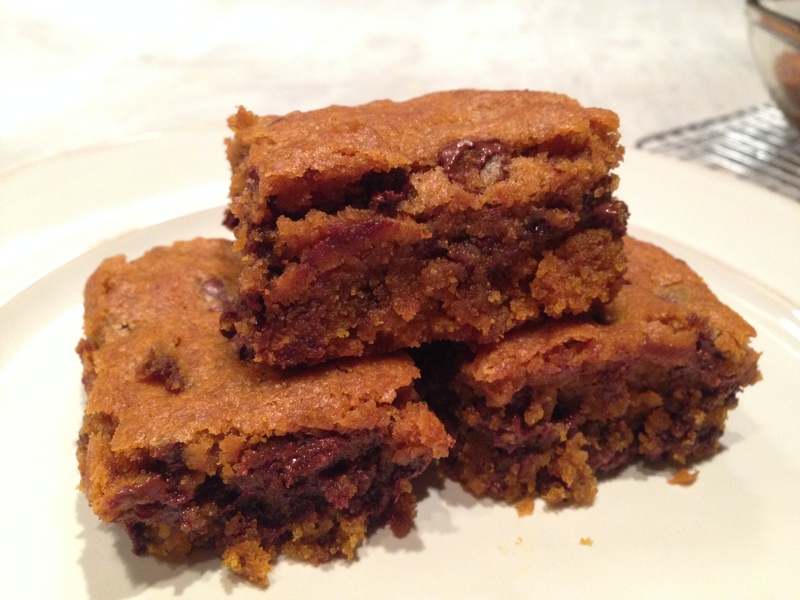 I adapted this recipe from a few of my favorites, The Black Dog, Smitten Kitchen, and my Aunt Harriet’s recipe. 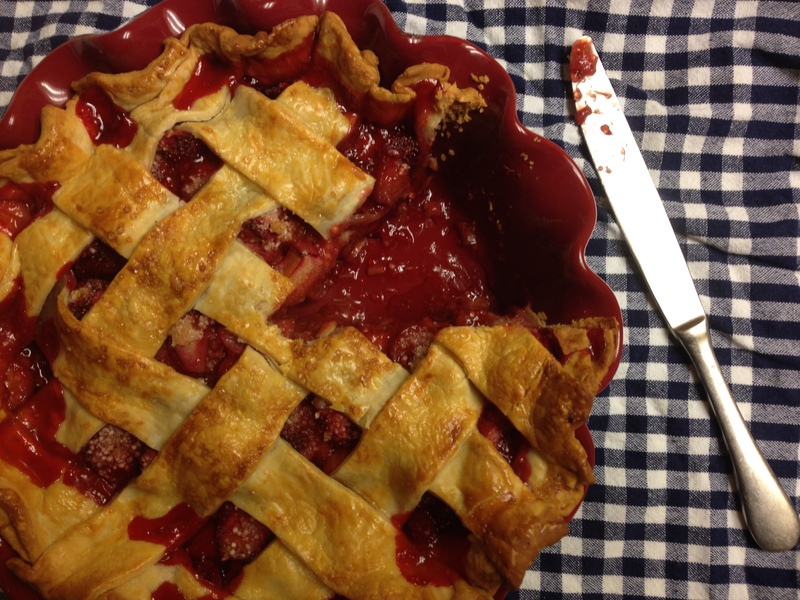 This week in our CSA we got 1 pound of fresh delicious strawberries and the first thing I thought of doing with them, was make a pie! Hope you enjoy! Preheat the oven to 400 degrees. On a well-floured surface, roll out half of the pie dough into a 12-inch round circle and carefully transfer it into a 9-inch pie plate. In a large bowl, combine strawberries and rhubarb. In a smaller bowl, mix together sugars, lemon juice and zest, salt and tapioca. Pour sugar mixture over the larger bowl of fruit and gently toss to coat all the fruit being careful not to mash the strawberries. Mound the filling inside the bottom pie crust and dot with small pieces of butter. Roll the second pie crust out into a circle and cut it into 1-inch strips. 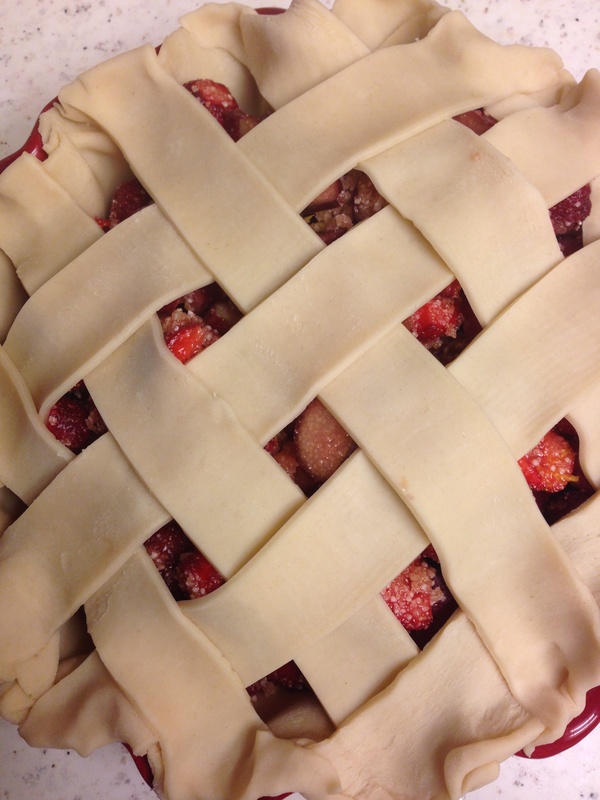 Weave the top pieces of pie crust together to form a lattice top (learn how to do it here!) crimp the remaining edges of the pie. Brush the crust with heavy cream (or 1 egg yolk if you prefer) and sprinkle with turbinado sugar. Bake at 400 for 20 minutes, then reduce the heat to 350degrees and bake for another 40minutes, until the pie is golden and bubbly. Top with fresh vanilla ice cream and enjoy! Last weekend was a great weekend. I skied, I went bowling, I ate lots of cake and I celebrated my birthday surrounded by friends! Weekends don’t get much better than that! Cake is delicious all the time, but there is something about birthday cake that is extra special! Now my usual request for birthday cake is my moms carrot cake (I posted it last year!) 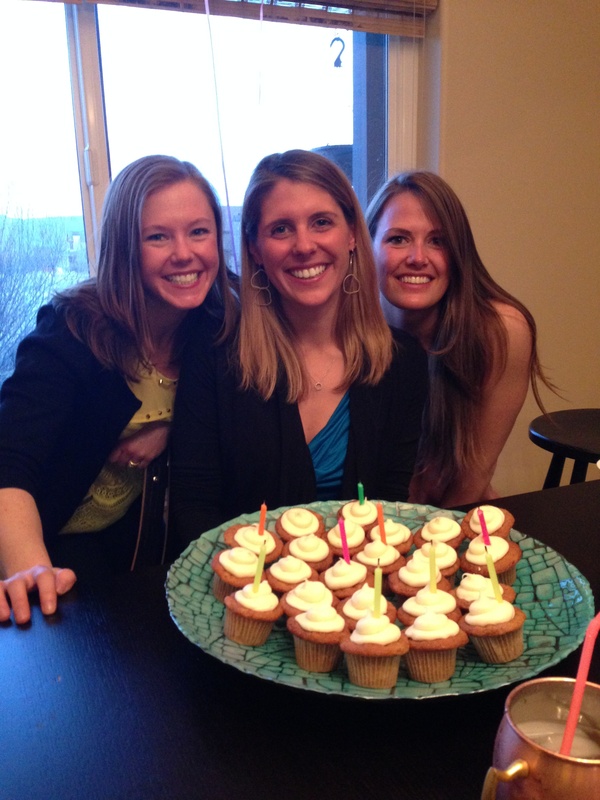 and I was lucky enough to enjoy some delicious carrot cake cupcakes this year, thanks to these lovely ladies above! 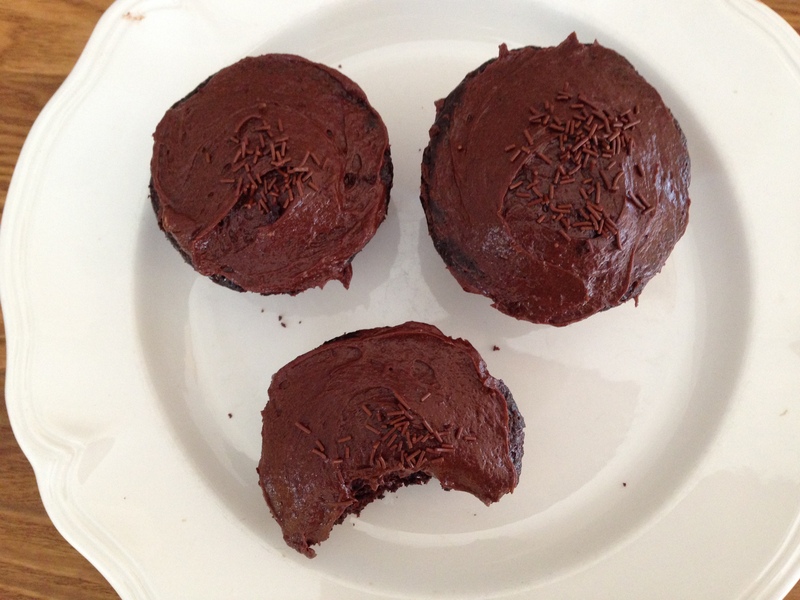 (don’t worry I didn’t eat all the cupcakes myself) But if its not carrot cake, I’d rather have chocolate… hands down! 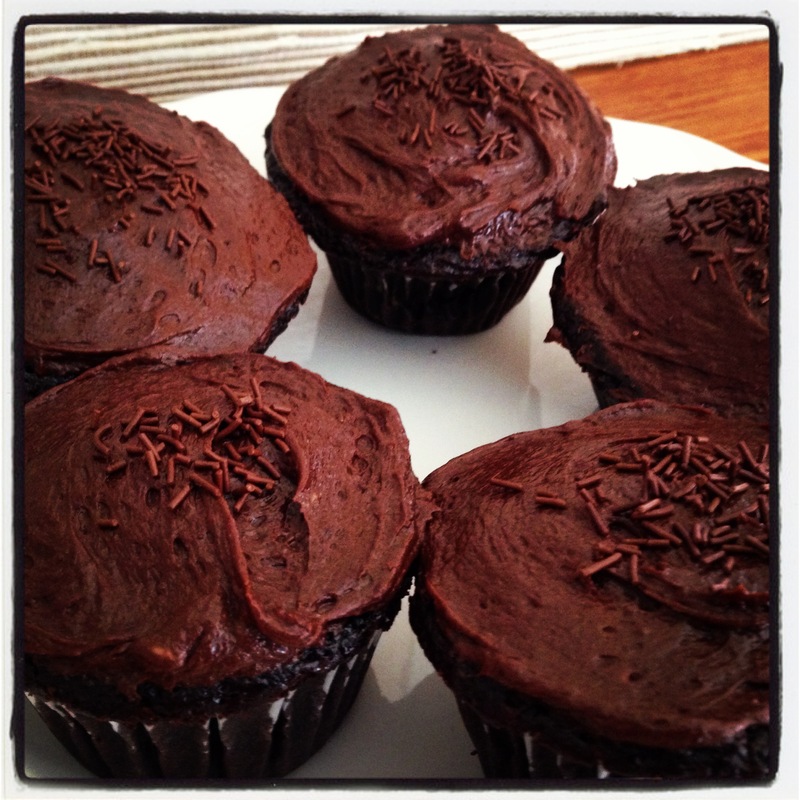 You won’t find a more classic cupcake than these delicious chocolate pillows. Top them with cream cheese frosting… because why would you have any other kind of frosting? And you’ve got yourself a heavenly piece of cake! The secret inside them? Brewed coffee! Adding brewed coffee to your cake does not make it taste like coffee or mocha but rather it intensifies the chocolate flavor. This is possible because coffee has the same flavor profile as chocolate, but is less dominant than cocoa, so adding it helps your taste buds pick up on the chocolate notes. The end result is a super light but very chocolatey cake that’s not too rich and leaves you satisfied! 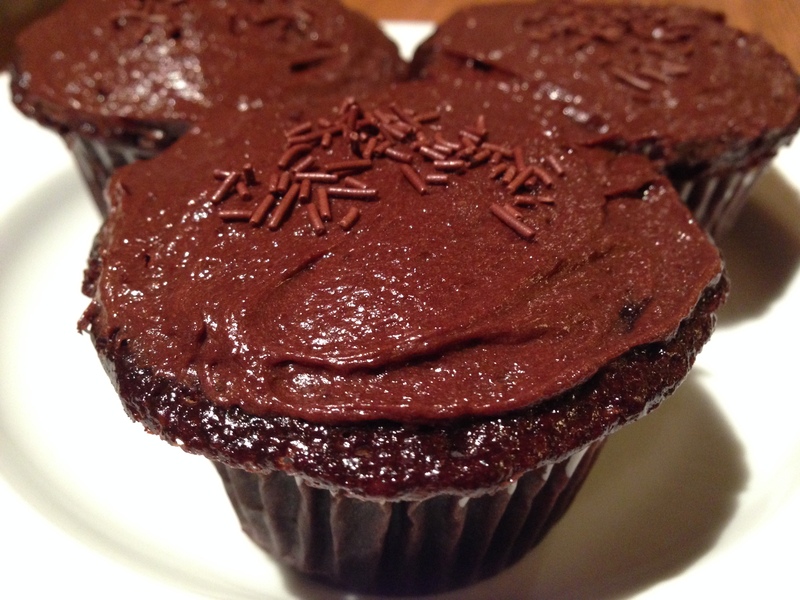 Since this cake is all about the chocolate, be sure to use quality cocoa powder for both the cake and the frosting! Brew Coffee and set aside. Pre-heat oven to 350 degrees. Line cupcake pans with cupcake tins, or for a cake coat two 9″ round pans with butter, dust with flour and line the bottom with parchment rounds. Combine flour, cocoa, baking soda, baking powder and salt in a bowl, stir with a hand whisk and set aside. Using an electric mixer or hand mixer beat eggs and sugar until very thick. Beat in oil. Alternate adding flour and buttermilk to the egg mixture beating until well combined. Add coffee and vanilla until combined. Bake for 20-30minutes or until a toothpick inserted into the cake comes out clean. With an electric mixer beat cream cheese and butter together until smooth. Slowly mix in powdered sugar and cocoa powder. Allow frosting to set in the fridge while the cake is in the oven. Green for St. Patty’s Day! This cake is named after a traditional British drink called the Snake Bite which is the combination of beer and hard cider. Its named after the drink because there is stout in the cake and hard cider in the frosting, which makes for the most perfect combination ever! Last week I was looking for a good St. Paddy’s day dish and I realized this Guinness laced cake would be perfect! Not to mention the cider you use for the frosting is called PERRY CIDER! Then I knew it was meant to be, I had to make it! 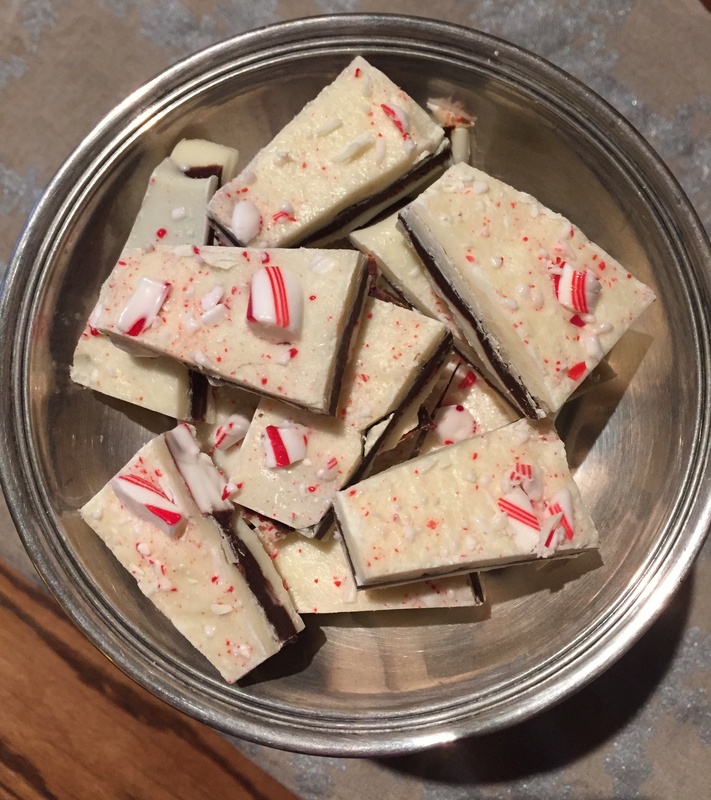 Turns out it is so quick and easy and its totally delicious! So take that left over Guinness out of the fridge and whip up this perfect cake to celebrate! Preheat the oven to 350 degrees. Butter and flour a nine-inch round cake pan. Mix together the flour, sugar, cocoa powder, baking soda, and salt in a small bowl. In a large bowl, whisk together the eggs and sour cream. Then whisk in melted butter and Guinness. Add flour mixture to egg mixture and combine with a rubber spatula. 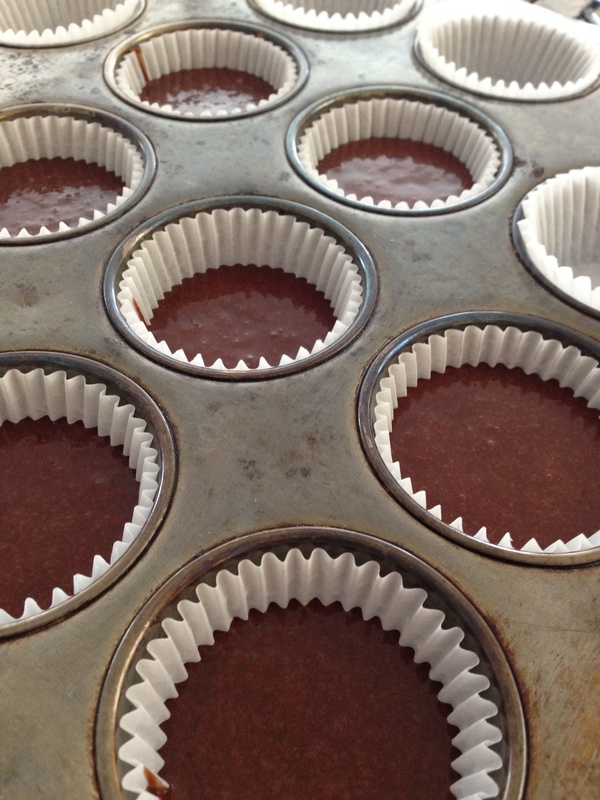 Pour into the prepared cake pan and bake 35 minutes, or until a toothpick inserted into the center comes out clean. Allow to cool in the pan for 5 minutes, then transfer to a wire rack to cool completely. While the cake is baking, prepare the frosting. Put the softened butter and cream cheese in the bowl of an electric mixer fitted with the paddle attachment and beat on medium speed until creamy and well combined, about 2 minutes. Reduce the speed to low and add the powdered sugar and mix until combined. Slowly pour in the pear cider and mix until the frosting comes together. Let the frosting set up a bit in the refrigerator until the cake is ready to frost. When the cake is cool, transfer it to a platter. Spread the icing on top of the cake, slice and enjoy! You know that cake you ask for every year on your birthday, the one that makes you feel special and loved and happy all at once? The kind of cake you go back for seconds, not only because its YOUR birthday but its YOUR favorite cake and its freaking delicious. 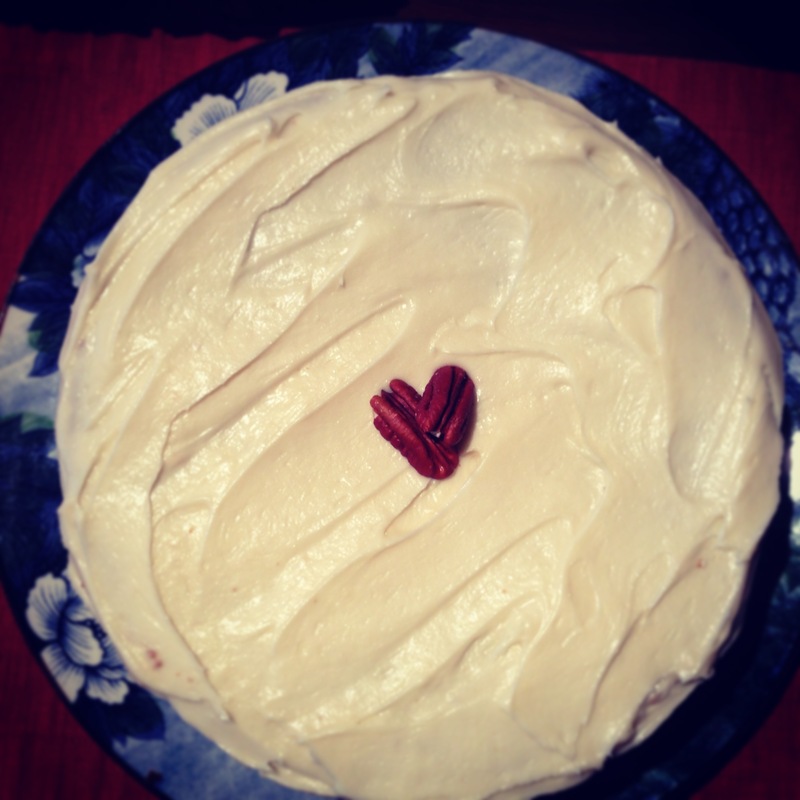 This carrot cake is THAT cake for me, my mother’s best ever birthday carrot cake. Today isn’t my birthday, (although you might have seen in my last post, Ski Boots in the Kitchen just turned 1!) but I decided I needed a little slice of heaven! Whenever I go to a restaurant and they have carrot cake on the menu, I have to try it. Let me tell you good carrot cake is hard to come by and I am usually disappointed because its not as good as PomPom’s recipe. There are two places that know how to do it right- one of the best carrot cakes I’ve ever had is at Bol in Vail, Colorado and the second runner up is from the Deer Valley Bakery (they made my carrot cake wedding cake… can you tell yet I’m slightly obsessed?) but that’s it. If you come across a restaurant that has better carrot cake than these two places call me, I’ll fly anywhere just to try it. Long story short, I’ve been tasting cakes made with carrot for years and this one will forever be my favorite not only because its outrageously delicious but it brings me back home and its always made with love! Happy celebrating and cake eating- Enjoy! Using a hand mixer, combine oil and honey in a bowl. Add eggs one at a time, blend in vanilla. In a separate bowl, sift flour, wheat flour, baking powder, baking soda, cinnamon, and powdered milk. Blend the sifted dry ingredients with the honey, oil and eggs. Stir in remaining ingredients (grated carrots, crushed pineapple, coconut, raisins and chopped nuts). Pour batter into the 3 prepared baking pans and bake for 25-30 minutes. Let them cool completely on racks until ready to ice. While the cake is cooling, using a hand mixer, combine cream cheese, butter, confectioners sugar and vanilla in a bowl. When cake has fully cooled, place the first layer on a cake plate, spreading a thin layer of icing between each layer of cake. 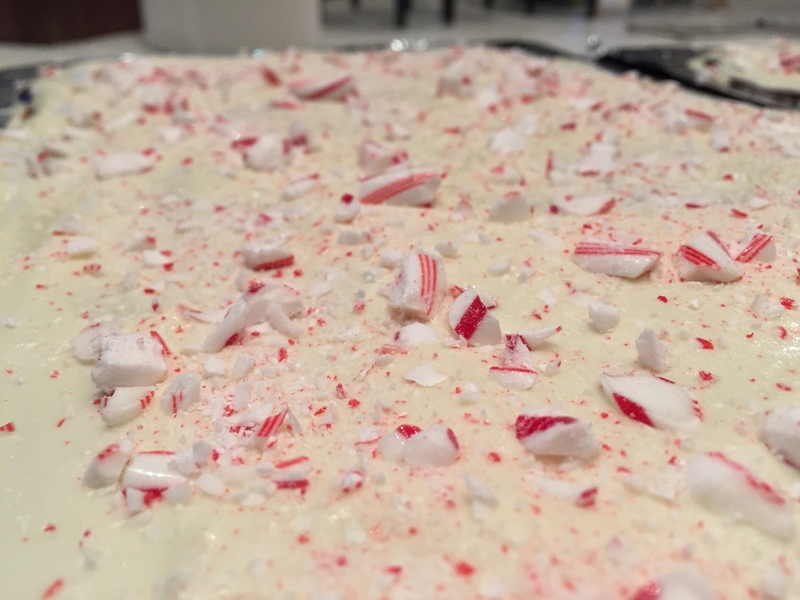 Spread a thin layer of icing around the outside of the cake and place in the fridge for 1 hour. This is called a “crumb layer” this will keep all the crumbs stuck to the first layer of frosting giving you the perfect looking cake when you frost the final layer! For more directions on how to perfectly frost a cake see here. Enjoy!